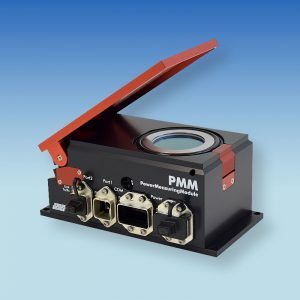 PowerMeasuringModule - Laser Beam Diagnostics - Laser Mechanisms, Inc. The PRIMES PowerMeasuringModule (PMM) is a robust laser power measurement system that determines optical power directly in the production zone. Thanks to the fieldbus interface, the PMM can be easily integrated into equipment controllers – various systems are available. Fully automated measurements can be carried out and documented due to the direct coupling to the machinery controller. This creates the basis for beam monitoring during processing – an essential component of quality assurance in manufacturing with lasers. The maximum power density on the absorber is 1.5 kW/cm2.